Changing Lives One Body At A Time! At UBX we understand that taking the first steps towards being a healthier, happier person can be very intimidating. It involves making sacrifices and reprioritizing your life to make exercise and healthy eating habits an everyday focus. At Ultimate Body Experience our mission is to make the transition as easy as possible. We offer a variety of services that can accommodate anyone’s specific needs. No matter what service you choose we will give you access to all the tools you need to reach your health and fitness goals in a friendly and fun environment. Whether it is weight loss, toning up, getting stronger, building muscle, athletic training, or simply just wanting to live a longer life, we are here to help each and every person that walks through our door reach those goals. Our motto is “Changing Lives One Body At A Time”, and that is what we pride ourselves on. At Ultimate Body Experience our mission is to make the transition as easy as possible. We offer a variety of services that can accommodate anyone’s specific needs. UB Personal Training: After 9 years of taking care of my aging parents and their deaths, my health had definitely taken a back seat. During those years there wasn’t time for exercise or healthy eating habits. All of this resulted in high cholesterol and diabetes added to already high blood pressure. My energy level was […]. UB Personal Training: It seems like it was just yesterday, but it has been 7 years that I have trained with Luke Shook at UBX. I never knew that this place would change my life. I had already been working but was tired of the corporate gyms where you are just a number. That is […]. 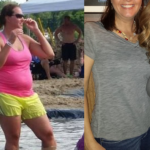 UB Team Active: I weighed 209 lbs and was a size 16 jean prior to coming to UBX Omaha 18 months ago. I struggled for years trying to find continued motivation to work out on a regular basis. I was introduced to the Fit-Camps at UBX Omaha and on day one I absolutely fell in […]. UB FIT: My First 90 Days at UBX Over the past few years, I’ve done multiple different home workouts from Insanity, Asylum and T25 to some bodyweight-based or TRX-based workouts and trained for and completed a couple half marathons. I’d seen varying results with the workouts, mostly due to a poor diet, and had lost […]. Luke is open, honest and enthusiastic about health and fitness. He is very knowledgeable and creative with his training sessions. He is a good listener, he will adapt your workouts to suit each individual, all the while striving for improvement and change.. I hadn’t lifted a weight or worked out since my senior year in high school. I knew I needed to tone up and lose some pounds to be healthy again. I came across UBX and Brent on Facebook through a couple of mutual friends. I got a free session to see if I would like […]. I love the staff plus the variety of fit-camps and personal trainers UBX has to offer. The staff is not only fit, knowledgeable, and commanding, they are the best at helping clients achieve their fitness goals through safe and effective exercise techniques. You never feel out of place here. They make each workout fun but […]. When I decided to start working out with Brent, in my mind I thought I’ll try this out for one time and that’ll be it. I won’t feel any different. I’ve worked out with trainers before and just never felt like they listened to what I wanted to work on or how I wanted to […]. UBX is a great nonjudgmental place to work out. The trainers are caring and committed to their clients. Luke has not only helped me transform and strengthen my body, but also my life..
Of all the gyms I’ve been a part of, I’ve stuck it out at UBX the longest… 5 years now, and I attribute it to the elite level of training, great atmosphere and the results I continue to see..
I’ve been a member at UBX for a year and really appreciate several aspects that are difficult to find elsewhere. The trainers are very friendly, know me by name, they are great at holding me accountable and getting the most effort out of me as possible. The class times are convenient and the classes have […].